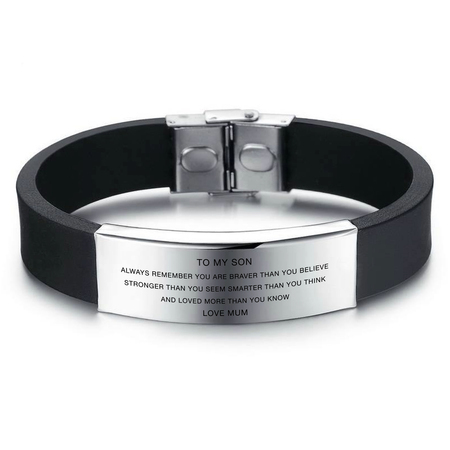 This bracelet was exactly what my son needed. He has a low-selfesteem and struggles with certain things in life. It was such a big encouragement to him. He bursted out in tears, he was so grateful. Ever since he is more confident and tells himself that he can do anything. Best gift ever! Bought as a gift for my son. He loved it. Well made. The writing is a little small on the inscription but lovely nevertheless. Arrived quickly. Impressed. Thank you.